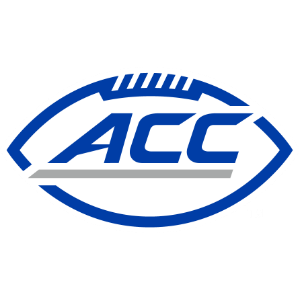 The Atlantic Coast Conference had four first round selections on the first day of the NFL’s 2016 Draft. Chosen were Florida State CB Jalen Ramsey (Smyrna, Tennessee), Louisville DE Sheldon Rankins (Covington, Georgia), Clemson DE Shaq Lawson (Central, South Carolina) and Miami CB Artie Burns (Miami, Florida). Florida State’s Ramsey was the first ACC player chosen and the first defensive back selected in the NFL Draft. Ramsey was taken fifth overall by the Jacksonville Jaguars. Ramsey’s selection extended Florida State’s streak to 33 consecutive years with at least one player selected in the Draft. He was also the 43rd first-round draft pick for FSU. Ramsey also became the 30th Seminole drafted over the last four years. Louisville’s Sheldon Rankins was the second ACC player taken, chosen 12th overall by the New Orleans Saints. He became the 15th Cardinal taken in the last three NFL Drafts. Clemson’s Shaq Lawson was chosen 19th overall by the Buffalo Bills. He became the 27th first-round selection for the Tigers. The selection of Rankins and Lawson, both defensive ends, gives the ACC 26 defensive ends or outside linebackers drafted since the 2006 season, the most of any conference. When CB Artie Burns was selected 25th overall in the first round, he became the 63rd first-round draft pick and extended the Hurricanes streak to 42 consecutive years of having a player chosen in the NFL Draft, or every year since 1974. He also become the 29th first-round selection for the Hurricanes since 2000. The NFL Draft continues on Friday with the second and third-round selections beginning at 6 p.m.